Home » Diago Wall Cabinet Lifts 23"-47"
Diago Wall Cabinet Lifts 23"-47"
The Diago Kitchen Cabinet Lifts for ADA handicapped accessible kitchens are electronically operated to lift and lower cabinets. Installing the ADA kitchen cabinet lift system utilizes more storage space for wheelchair users, so they can access more areas of the kitchen. Bringing the cabinets down and forward in an arc shaped motion, the Diago wall cabinet lift is a great option to create handicapped accessible kitchen cabinets. Available in a wide range of sizes, the motorized cabinet lifts can be installed on the back of existing or new cabinets. 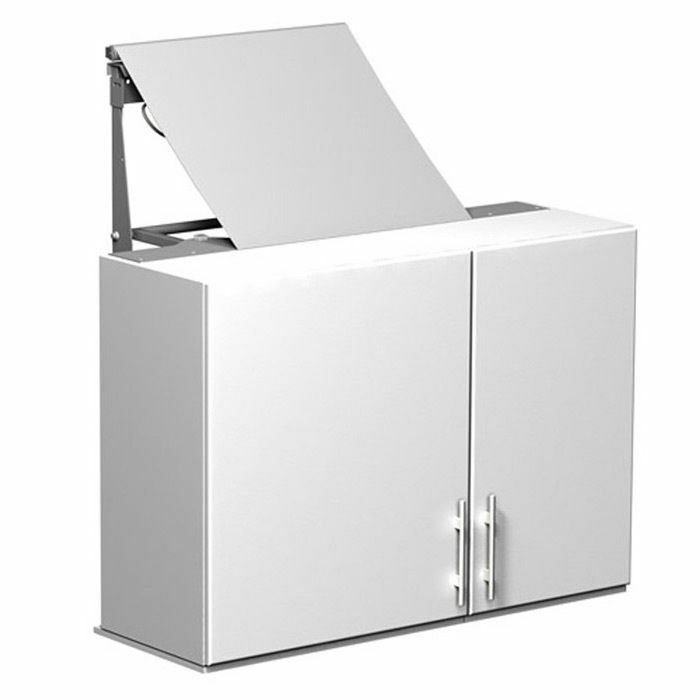 It is also important that kitchen cabinets for handicapped accessibility are safe to use, and the Diago lifts are equipped with a reliable safety system to avoid crushing anything on the counter. At Freedom Lift Systems we understand the importance of mobility around the kitchen, afterall, it is the busiest room in your house. Cabinet lift systems are made by Granberg in Sweden.